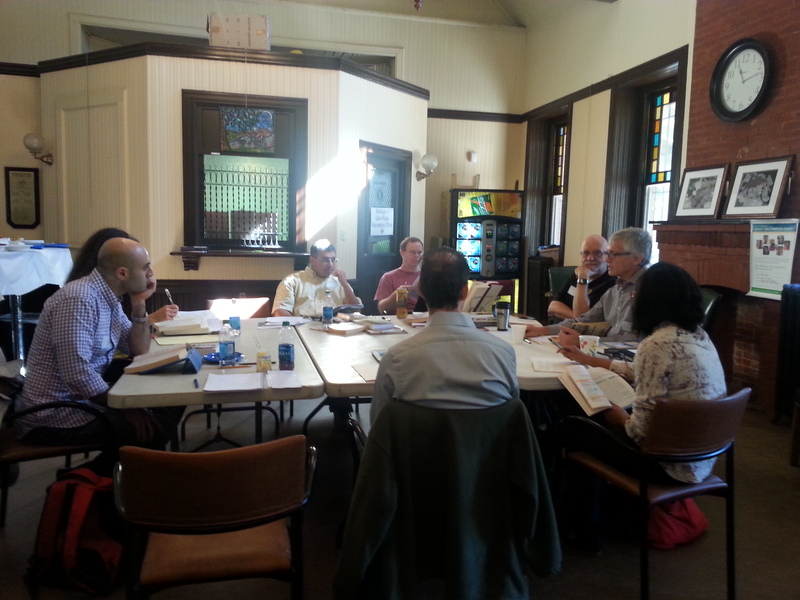 The 2013 Seminar on Concepts, Glen Ridge, NJ (left to right): Ray Raad, Carrie-Ann Biondi (obscured), Irfan Khawaja, Michael Young, Fred Seddon, Stephen Boydstun, Marissa Coronado, Jay Friedenberg. Not pictured: Kate Herrick, Michael DeFilippo. Photo credit (and empty seat): Kate Herrick.